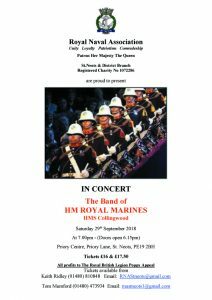 St Neots Branch, Royal Naval Association are proud to present the Band of HM Royal Marines, in concert at the Priory Centre, Priory Lane, St Neots on the 29th September 2018. 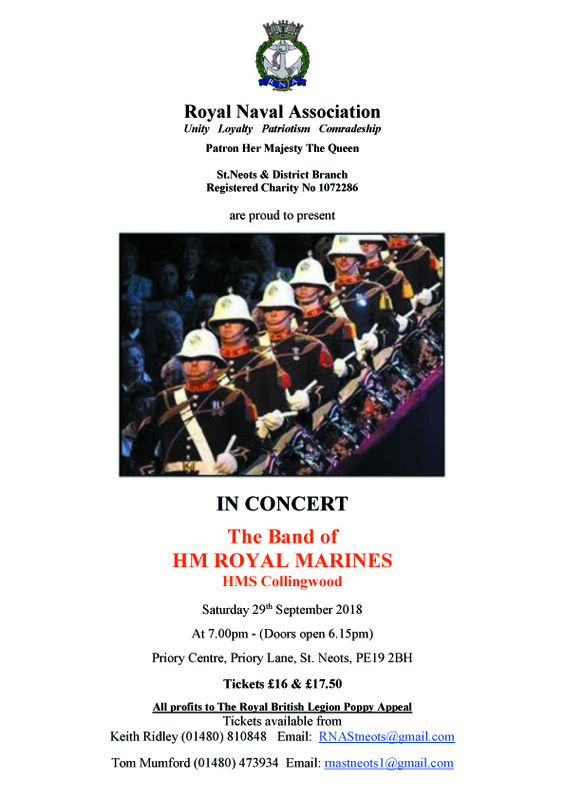 Tickets are selling fast, please contact shipmates Keith Ridley or Tom Mumford to purchase yours. Click on the poster for further details.